The Helpful Villagers started this project about 5 years ago (in 2014) with the idea that we wanted to contribute resources to those learning English. There are many programs and curriculums that teach phonics and letters and reading and our books, games and materials can enhance and supplement what already exists. As parents and teachers, living and working in a country where English is not widely spoken, the materials we create really help our own students in a fun way. In the future, we hope to complete many books and different series on family, seasons and different holidays and customs from around the world. We are also planning different sets of flashcards and games that you can download and use for free. Our team of Helpful Villagers are all volunteers and we do this part time and use our own resources and time to produce these items. We hope you enjoy them and learn from them. Thank you. Joe Sumay Thee was born in Phitsanulok, Thailand. He graduated with a degree in packaging design and enjoys his work as a toy designer and illustrator. In 2009 he was given a BIG Toy Design Award from the Department of International Trade Promotion. He has produced his own activity books for kids which was published in Thailand and Malaysia. Currently, he resides in his hometown where he lives happily with his wife and two sons. As a “diplomat brat,” Socelyn has had the incredible opportunity to live in various parts of the world. Thus having a special affinity for travel, she values cultural differences and has always held a fascination for linguistics. Highly interested in language and entrepreneurship, Socelyn focused her Bachelor’s in English and her Master’s in Business Administration and most fluently speaks Tagalog and Hawaiian. Her international experiences allow her to see the big picture and to appreciate all people and all places. 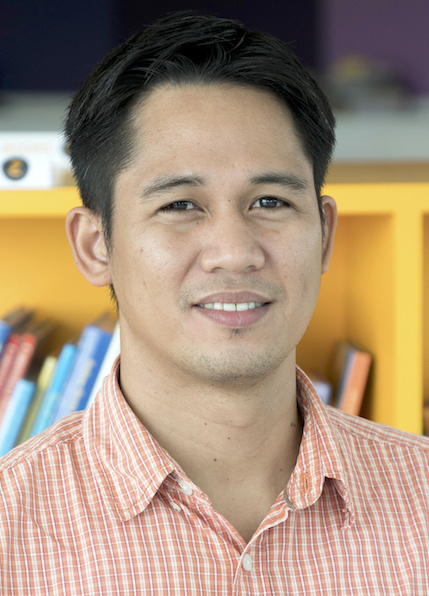 Harry was born in Aklan, Philippines and raised in Honolulu, Hawaii where he began his teaching career. He moved to New York to finish his graduate degree in Education. He currently resides and works in Bangkok, Thailand with his very supportive wife and wonderful children. He is the founder of Helpful Villagers. Jonathan has worked with the Helpful Villagers in many capacities. His great efforts and professionalism has been the basis of our early website designs and maintenance. A teacher, computer expert and father, Jonathan is a blessing to have on our team. Kissy has lived in the southern part of the U.S. most of her life. Her love for art came early during her pre-teen years. She loves children and has monitored children of all ages. Kissy has worked and taught in the educational field for over 16 years. In her spare time she enjoys movies, poetry and spending time with friends and family. Kissy is one of our illustrators who has contributed her time and talent to make our stories come alive. At the moment we are working hard to complete our ABC Phonics Series. This is a series of stories that cover the simple sounds of the letters of the alphabet. In the future, we plan to expand this series and complete all 40+ English phonemes. Our stories not only focus on a particular letter sound or phoneme, but they are illustrated in a simple and vivid manner by our illustrator Joe Sumay Thee and the stories themselves focus on morals and values in a way that children can understand.